Unique Door with real ship port light . 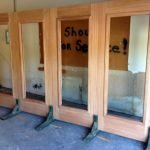 This door has certification for wind-load and impact resistance . Door located in historic Cortez fishing village ,Florida . 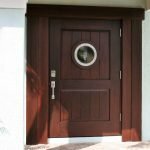 We can make unique custom doors of any kind for the Tampa Bay area including Sarasota south to Naples Florida . Door and timber millwork distressed . 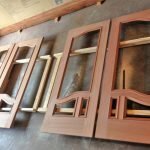 We have been busy building a multitude of Custom Doors throughout Tampa Bay .